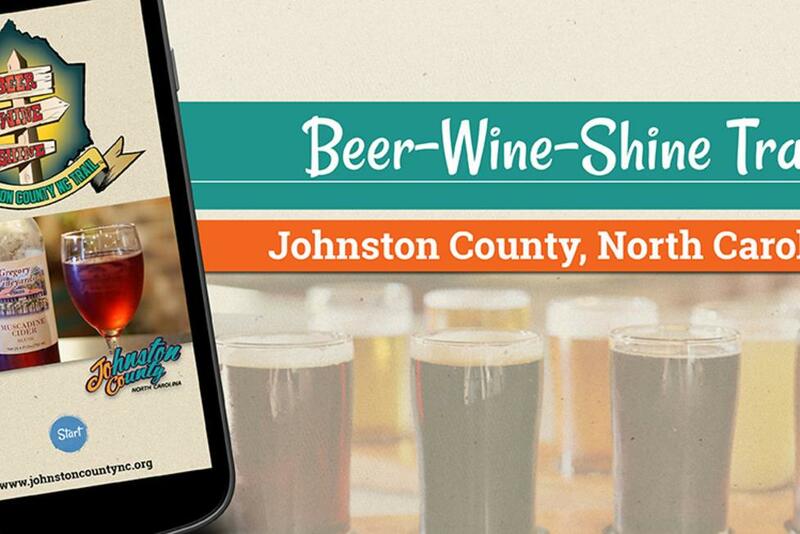 There is now an all new and even more accessible way to navigate the Beer, Wine, and Shine Trail in Johnston County; download the Beer, Wine, and Shine Trail app on your smartphone or tablet. The app works like a virtual brochure to guide visitors along the trail. Each craft beverage location has its own profile complete with hours, directions, pictures, video, and even a special offer. The Johnston County Beer, Wine, and Shine Trail continues to expand its offerings with five craft beverage locations and a sixth on the way. InStill Distilling will open in Clayton later this year. Broadslab Distillery crafts an authentic taste from a recipe that is five generations old with real wooden barrels, a copper still, and corn growing in the field in Benson. Also, along the trail are regionally celebrated, craft breweries Deep River Brewing Company in Clayton and Double Barley Brewing in Smithfield. Using local ingredients like sweet potatoes, watermelons, and corn, both breweries offer a variety of beers and come with high praise. Let&apos;s not forget award-winning Hinnant Family Vineyards in Pine Level and picturesque Gregory Vineyards outside Benson. Both offer vineyard tours and tastings. The app is also expanding upon the experience by providing recommendations on places to eat, things to do as you travel along the trail, and even where to get local beverages on tap or in the bottle. There is also a section about local, annual events and even information on booking at Sip & Stay package with an area hotel. “Our goal was to create an app that had aspects of a destination guide encompassing all of Johnston County, but through the theme of guiding visitors along the trail, which really does include the entire destination,” stated Ashby Brame, Marketing & PR Manager for the Johnston County Visitors Bureau. The bureau is providing the app at no cost as a service to visitors. There is even a scavenger hunt portion of the app that allows users to collect answers to trivia questions by scanning QR codes located at each of the trail’s craft beverage stops. Once a user collects all five answers they can send a notification message within the app to the Johnston County Visitors Bureau and will be sent a prize. The app is also live just in time for NC Beer Month, which is celebrated the entire month of April by order of the Governor of North Carolina. NC Beer Month is a good time to explore the craft beverage scene of the entire state, but it’s a great time to be at breweries like Deep River and Double Barley with special releases and events planned throughout the month. Cheers! 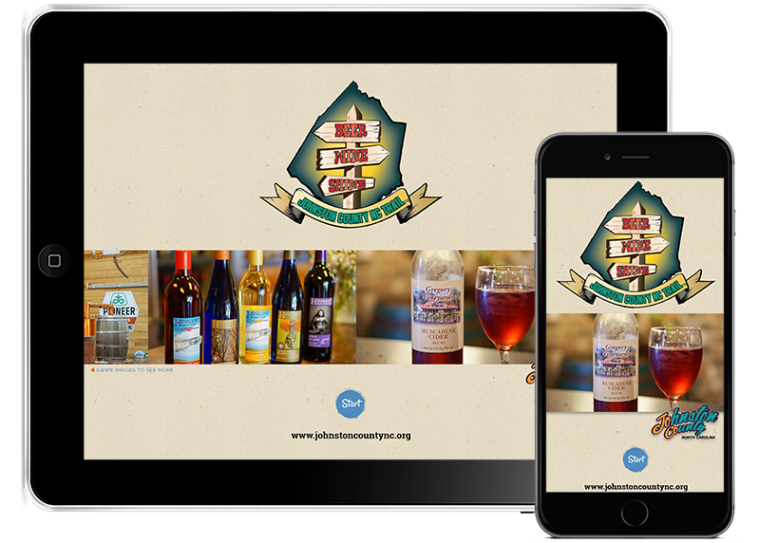 To download the app visit the Apple or Android store on your phone and search “beer wine shine” or click the button below of your preferred app store for a direct download link. To learn more about the trail visit beerwineshinetrail.com. For more information about Johnston County and the visitors bureau visit johnstoncountync.org.